Climbing has so many different meanings from person to person. For some, it’s pushing difficulty on short, challenging routes. 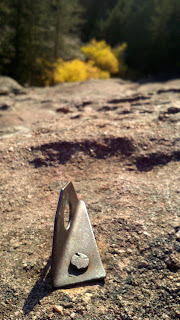 For others, it’s the problem-solving and stamina that comes from day-long or week-long routes on huge cliffs or peaks. Some simply enjoy moving over rock, with moderate challenge in amazing surroundings. And for those that haven’t climbed outside before, it’s a totally nebulous thing– let’s go check it out! 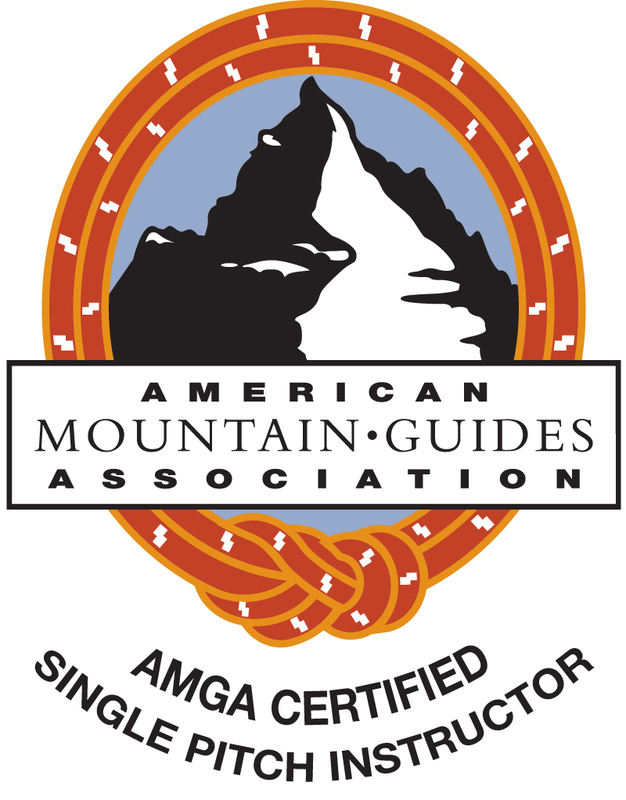 I’m an AMGA Certified Rock Guide, Single Pitch Instructor, and SPI Assistant Provider based out of Boulder, Colorado, where I manage the Colorado branch of Jackson Hole Mountain Guides. 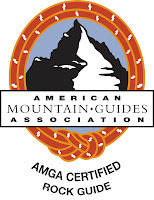 I’ve been guiding as a full time career since 2004. While Boulder is my current home, I have also lived in Las Vegas and Jackson Hole, with hundreds of days of guiding experience in each of those locations. I travel occasionally to work with custom trips and regular guests – in the past year, I have worked in Boulder, Moab, Vegas, and Jackson. 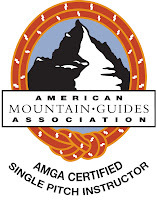 I specialize in rock guiding and instruction, but have guided hundreds of days in alpine settings, predominantly in the Tetons, but also including the Wind River Range, the Beartooths, Rainier, and Aconcagua. Nearly all of my guiding and instruction occurs in small group, custom outings. Please contact me directly or contact the JHMG-Colorado office (303-532-5184) for guiding and instruction inquiries, regardless of the location. In addition to Eldorado Canyon, the Flatirons, and Boulder Canyon, I have extensive experience guiding in the Tetons and Red Rocks. I routinely visit these areas for guiding requests. I have done a significant amount of onsight guiding in all locations, and many climbers learn additional multi-pitch climbing concepts by climbing with me onsight. Each day is different. Each person or group has unique goals and expectations. I want each outing to move towards those goals, and exceed as many of the expectations as possible. I enjoy the process of teaching, and appreciate it both as a science and an art. Guiding and teaching both involve an element of participation, and I seek to involve my guests as much as possible to enhance the experience. Creating a complete EXPERIENCE is critically important, making sure that we have a perfect blend of instruction, challenge, adventure, and participation. Training and climbing for a particular route. I pour my energy into creating a pathway for development for those who have a specific route in mind. Sometimes, the target route is something we determine together, but many people have been dreaming about it for years. Using my knowledge of local climbing areas, we can train for the route in creative ways – related routes, training crags, physical workouts, skills training, and utilizing bouldering areas. Some of the training is psychological, preparing the individual for the exposure, position, and challenging techniques encountered on a route. Some individuals with limited climbing experience have worked with me on specific training plans for routes like Epinephrine, Crimson Chrysalis, the Petzoldt-Exum, and others. Courses. To really learn a topic, it’s best to dive in and immerse yourself. 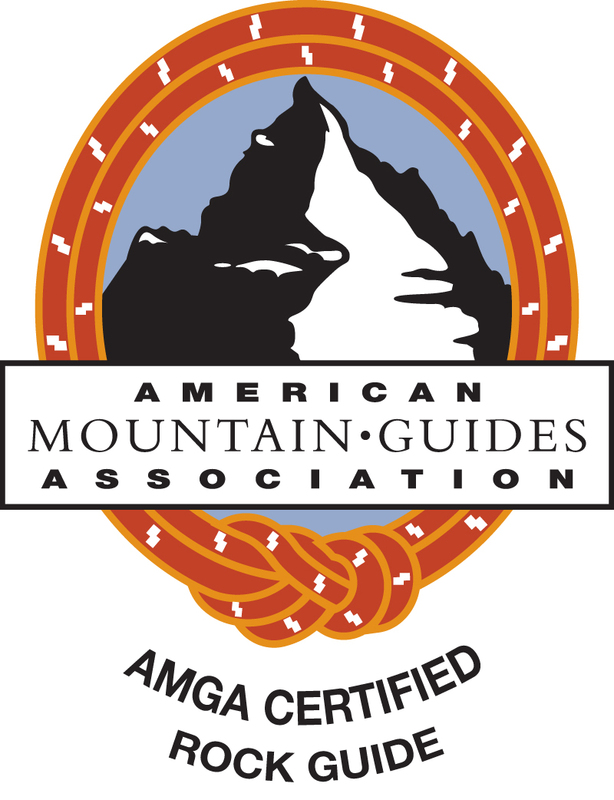 Take a course on multi-pitch climbing, trad anchors, improvised rock rescue/self-rescue, outdoor sport climbing, or climbing techniques. It’s really fun to craft a custom course for any (or many) of these topics. Sometimes we build in a day or two of guiding in the middle, which is a great way to see the techniques and systems applied in the appropriate context. Regardless of the topic, roll your sleeves up and get ready to jump in. Route of the Month. 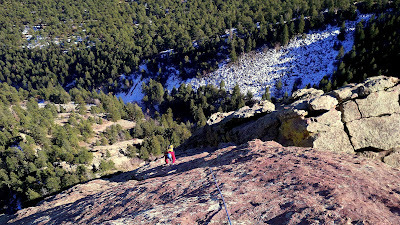 Determining and climbing the coolest route. Plain and simple. Sometimes this is part of a bigger project, and sometimes it is the simply the best 5.8 we haven’t yet done in Eldo or in Red Rocks. Or maybe it’s the next awesome hidden gem in the massive Flatirons. Gerry Roach Classic Climbs. There are 51 of these “classic” routes in the Flatirons. While this is one man’s arbitrary list, it sure has attracted a lot of attention. However silly the idea of ticking a list sounds, it is amazing how much motivation, purpose, and satisfaction a list provides. 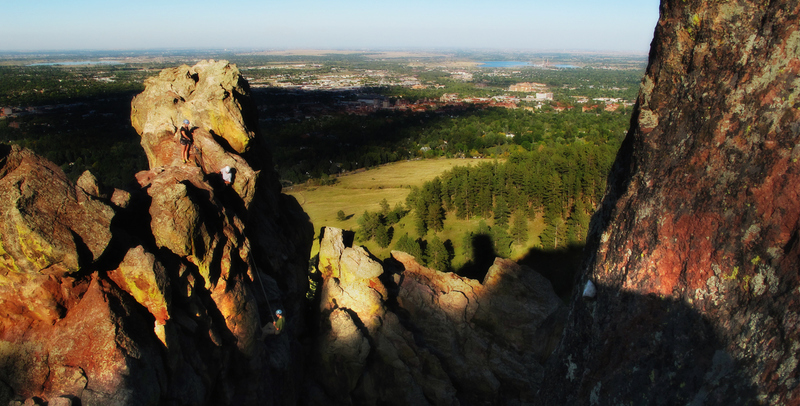 Most of the list is made up of bona fide classic routes, and they certainly take you to amazing corners of the Flatirons. His distilled list of Top 10 routes is a much more reasonable undertaking. What differentiates these lists from the 14ers, Roper’s 50 Classic Climbs, or Seven Summits is that many of these routes can be done in a half day and are much easier to fit into a busy schedule. I am still compiling my unique Top 10 for the Flatirons (as well as Red Rocks, Eldo, Devil’s Lake, and many more), and it’s very different from Roach’s. Kid/Teens. Kids are naturally adept at climbing. With climbing, some kids have found their calling in sport for the first time in their life. These days, exposing kids to climbing is easy. Fostering a passion for the sport (just like skiing) is often the bigger challenge. Since climbing has so many sides to it, there is usually one aspect that fits each personality more than other aspects. I’ve spent more and more time learning how to work with kids to inspire them, help them find motivation and drive, and achieve their own successes in rock climbing.